A collaboration between composer, Maja S.K. Ratkje, artist Kathy Hinde, and musician Andreas Borregaard. Commissioned by Red Note Ensemble. Premiered at Huddersfield Contemporary Music Festival 2017. “Aeolian” – relating to or arising from the action of the wind. 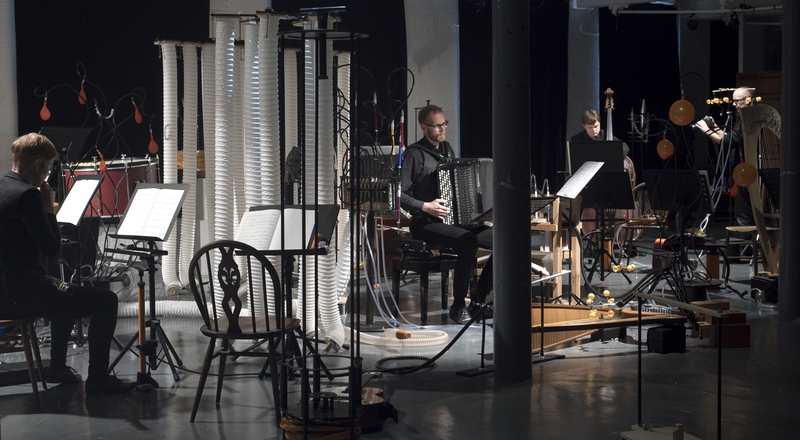 Aeolian draws its inspiration and title from the “breath” of the accordion. 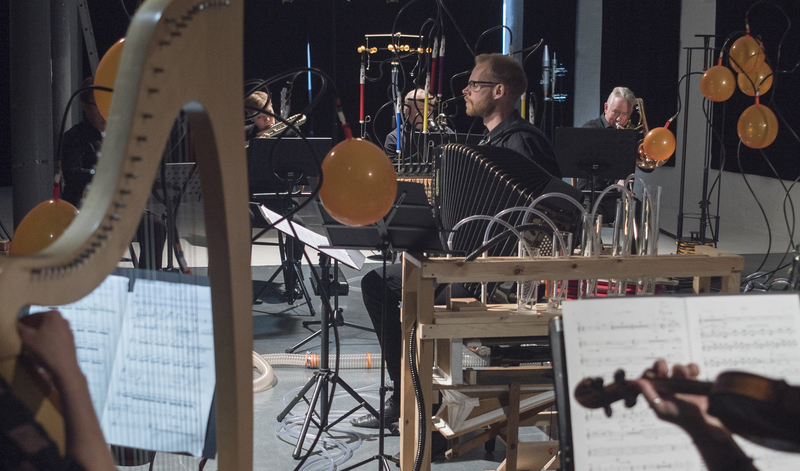 Ratkje and Hinde have collaborated closely on creating a hybrid piece where newly invented aeolian instruments are fully integrated within an acoustic ensemble. Accordion soloist Andreas Borregaard, is at the centre of the work both physically and musically. The air-activated instruments are mechanically activated by the musicians during the piece, blending the sounds of the installation with the musicians’ conventional instruments in a composed, breathing entirety.